In today’s world of content, many people online make a decent living proofreading at home. And yes, while a lot of these companies are looking for professionals with experience, I wanted to write this guide for a few reasons. For one, I wanted to include the many companies online that often hire proofreaders, both experienced and even as an entry level. I will talk about what these companies are generally looking for and how you can apply for a proofreading job. Secondly, I wanted to talk about the steps you can take in order to become a proofreader if the industry is of interest and you’re just beginning to start the research process. With HUNDREDS of companies out there that are currently looking for editors/proofreaders, it is an awesome way to make a few extra bucks on the side or even turn it into a full-time lucrative career. So with this intro out of the way, let’s figure out how you can start making money while proofreading in the comfort of your home. In simple terms, proofreading is the last step of the writing process. And if you think back to your high school/college days, writing would often end with proofreading, where you would skim over your words, maybe read them aloud and then polish up any parts that need fixing, including spelling and grammatical errors. This is only a sample of what’s out there, but as you can see, the field is quite diverse. Now, in the world of proofreading, most of these jobs can be done from home, mostly on a freelancing basis, but some companies do only hire in-house, but you generally will know what’s expected of you in the job post. 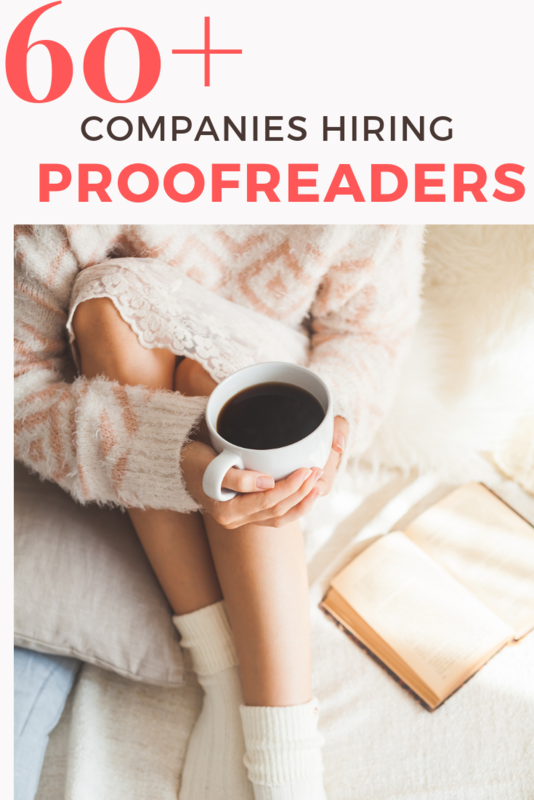 As you continue on with this guide, I do talk about a variety of reputable companies online that do hire proofreaders from home, so be sure to keep reading if you’re interested. LEARN MORE: Don’t pay $100+ for an online proofreader course, please! You’re only making bloggers rich. Instead, consider these low cost ($11~) courses on Udemy. Highly rated and teaches you the techniques to become an effective proofreader. As many of these jobs are freelance opportunities, you will be paid by the job, but if you’re able to land a full-time gig, Glassdoor claims the average base pay is close to $36,000 a year. Of course, it could be much more if you have the experience and education. For freelancing opportunities, again, based on the factors mentioned prior, the rates can range from $0.006 to $0.014 per word, with the amount of work you receive greatly dependent upon the company’s client base. Not all companies aren’t created equally. 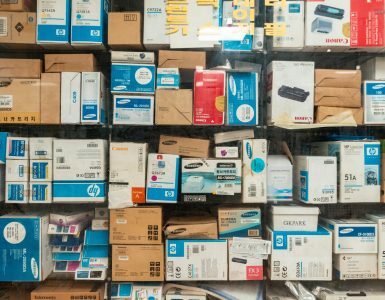 A reputable company is often up front as to what your rate will be before you even accept a job. For now, use this as an estimate as to what you could potentially make. We’re all different here, so your results could be much different than mine! From my research online, becoming an online proofreader will take much more experience than other online-like jobs, such as taking surveys for fun, writing or even performing small tasks on mTurk. Now, if you meet a lot of these qualifications, then there’s good news as 99% of the companies I’m going to list will definitely want to talk to you, but if you have no experience or even a college degree for that matter, it could be harder to find a job, however, it won’t be impossible. For beginners, I will be honest, there are not a lot of companies who will want to hire you, sadly. 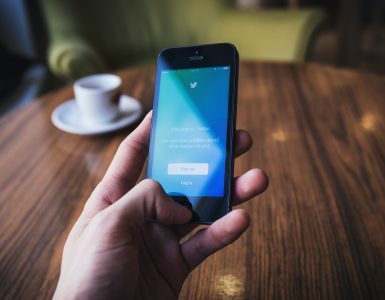 But don’t let this stop you just yet as there are ways to land your own private clients to potentially build your “experience.” Reaching out to smaller online publications or even small businesses could boost your credentials, for example. And while I want this guide to be as in-depth as possible, I can’t touch on every point, and for that reason, I do recommend you check out a few of these low-cost proofreader videos on Udemy. A few of these awesome videos go into detail, showing you exactly how you can start working as a proofreader as soon as next week. Now that I think I have the basics out of the way, let’s dive in and talk about the many companies online that are often looking to hire proofreaders, either as a freelancer or as a full/part-time gig. Later on, I will share some job aggregator websites you can consider as well. The companies I list below often hire proofreaders, but don’t be discouraged if you don’t see an active listing. If they aren’t currently hiring, be sure to bookmark the page for future reference or see if they have an email list you can join for future alerts. Feel free to browse through these companies and see if they are a fit. Much like applying for a job, all of these companies will have certain requirements in terms of your experience level, educational background, etc. Refer back to the skills subheading above to see what a lot of these companies are probably looking for. 24×7 Editing offers academic editing services and proofreading service to make your research document flawless and error-free. And according to the company’s career page, they wanted to create a benchmark that competitors can look up to. If you think you have what it takes as an editor with the company, they encourage you to apply on their career page here. Academic Word, an online English editing and translation service, ensures that your final document meets the standards for composition of the international academic publishing community. While the company doesn’t specifically state they are hiring as of right now, they do say they are always interested in learning about editors as well as translators with experience in academic writing. If interested, fill out the form via the company’s official employment page. The American Journal Experts exclusively recruits from top U.S.-based institutions, and all editors must be affiliated with either an R1 or R2 research university, as defined by the Carnegie Classification. As per the job posting, applicants must also possess a graduate degree and be a native English speaker. For more information as to how you can become a contracted editor with the AJE, you can follow this job application link. Book Editing Associates is in need of copy editors, proofreaders and even experienced writing mentors who have traditional and self-publishing experience. Applicants must also have two years of experience at a minimum as well as pass a short copyediting and proofreading test to be considered. Glancing at the employment page, the company is currently looking for an ideal candidate who can perform all levels of editing, from development to proofreading. To see which categories are in need as of right now as well what they are looking for, follow the link below. In 2018, Cactus Communications was named as one of the top 100 companies for remote jobs to work for, as per this Forbes article. And while not much experience is necessary, they do ask that you pay attention to detail, have a degree in the field you’re looking to edit and have familiarity with MS Word, Excel, and PowerPoint. The company offers a variety of at-home proofreader job positions, all of which you can view at CactusGlobal.com. Just scroll down to the bottom to see the current at-home job openings. Trusted by thousands of ESL speakers and students, Cambridge Proofreading is almost hiring freelance editors with experience. 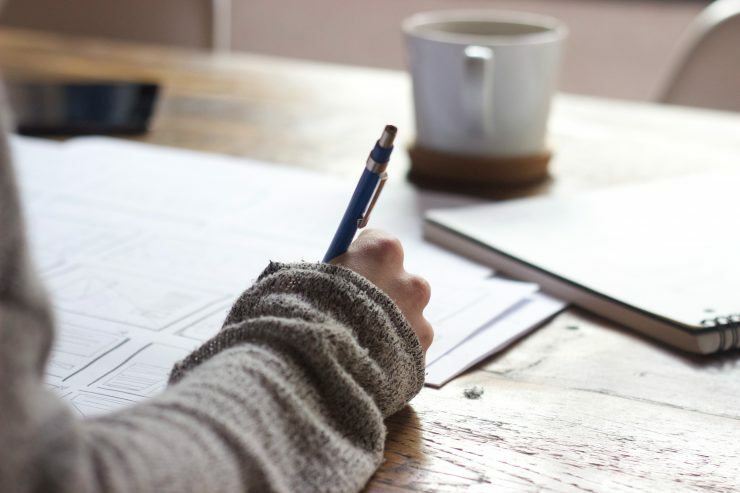 Potential editors must hold an advanced qualification from an American, British, or English-speaking university and have experience in academic proofreading and editing. To learn more about this opportunity, please visit Proofreading.org. EditFast.com offers freelance opportunities, but they cannot guarantee there will be work available. Simply put, consider it as an opportunity to potentially receive jobs only if they see you as a fit for a project. However, if you meet the qualifications their customers are currently looking for, then there may be projects available for you. To register and learn more about this at-home editing opportunity, refer to this job posting to see how the system works. If you have a Ph.D. or meet the EDIT911 qualifications, then you can consider sending in your resume and a sample of your writing for an at-home editor position. EDIT911 is always looking for dissertation, thesis and book editors to help their ever-growing customer base. For more information, as well as qualifications, refer to the employment page noted below. Elite Editing offers proofreading services from expert editors who help add the finishing touches true to your voice and tone. Always looking out for new editors, Elite Editing wants to hear from you if you are comfortable with The Chicago Manual of Style and is looking for consistent work. Follow the link below for the email address to send your resume in. Freelance editors play a crucial role at Enago, a brand trusted by more than 600 international journals. At this moment, Enago states that the typical Enago editors have a “knack for diligently editing,” at least five years of relevant academic copyediting/proofreading experience and extensive subject matter expertise. To learn more about this job opportunity and current job openings, visit Enago.com/careers for more details. If you’re looking for online work as a professional academic editor, then English Trackers wants to hear from you. English Trackers offers a flexible schedule, on-time payments and a responsive editor support team. Candidates who are interested must have two years of editing experience, be a Ph.D. holder or academic editor with verifiable experience and be a native English speaker. To learn more about the opportunity, you can do so via the company’s “Join Us” page. Global Proofreading is dedicated to providing fast, accurate and good-value service for the proofreading and copy editing industry. If you’re a freelancer interested in applying as a freelancer, the company does ask that you contact them via the form found on this page. Reading the page, they do note that due to the highly competitive nature of this profession, they do ask that applicants are appropriately “qualified and experienced.” However, these qualifications and experience aren’t noted on the page. Gramlee, an online copy editing service, charges its clients by the word, offering revisions in 24 hours or it’s free. And according to the company’s job posting page, they are always looking for people to add to their team, especially those who want to work from home as an independent contractor. While the company doesn’t go into much detail as to what they are looking for in an applicant, you can fill out a simple application here. IXL is the world’s most popular subscription-based learning site for K-12, used by more than seven million students. And while it isn’t guaranteed, the company oftentimes has remote content editor/proofreader jobs available. Refer to the official job posting below to see if any openings are available right now. Kibin offers editing and proofreading services 24/7, with more than 500,000 college essay examples and often posts freelancing editor/proofreading jobs on its website. While it’s not guaranteed, much like a lot of these companies that I mentioned, it doesn’t hurt to bookmark the page and come back at a future date if you’re interested in working with this company. Applicants who do apply will be asked to answer a few short essay-like questions, detailing availability, experience as well as your expectations, to name a few. I talked about Kirkus Media in the past in my “get paid to read books” post and recommend them yet again as it’s a great company to consider if you like the idea of reviewing and/or editing books. The career opportunities are always changing, so be sure to visit this specific URL for more information and to see if an editing position is currently available. The Leaf Group, formerly known as Demand Media, operates a multitude of online content brands with tens of thousands of pages of web content. Almost always hiring editors, visit the company’s job openings page for more information. Do keep in mind that most of these positions are in-house opportunities, but a remote position can be available on occasions. LifeTips is said to be the place millions of people go to get the tips and the advice they need to make life smarter, faster and wiser. And if you’re a passionate editor who knows how to turn complex problems into simple, yet understandable tips, then they want to hear from you. Editors work directly with clients to develop a content strategy for the web, with a full salary and medical benefits included. Managed Editing, an online copyediting service based in Washington D.C., offers professional editorial services, copyediting, and proofreading for various organizations. At times, the company seeks skilled editors who want to work as an independent contractor. Editors should have at least five years of experience and a college degree. The company is not always hiring, but if you want to fill out an application, you can do so on the company’s official website. Formerly known as CrowdSource, OneSpace works much like Amazon mTurk, where you complete small tasks, including editing jobs. With OneSpace, you work as much or as little as you like, giving you the freedom to work when you really want. OneSpace also makes it easy in regards to payment, offering daily payment options once your work is approved. If interested, scroll down on this page to see what editing jobs are available since the positions are always changing. In most cases, you will be asked to take an assessment test before consideration to test your accuracy. Just be sure to read the job description as they are often looking for certain skills and qualities. Papercheck, like a lot of these proofreading services, offers 24/7 editors who deliver quality editing services. Currently looking for qualified editors in all field of studies, the company has opportunities in multiple states throughout the U.S. Applicants must have a graduate degree with at least five years of editing experience or be employed by or enrolled in an accredited university with at least a 3.6 GPA. For more editor requirements and qualifications, visit PaperCheck.com and follow the Editor Opportunities link. Polished Paper offers professional editing and proofreading services 365 days a year, 24/7. Editing opportunities are available, as per the company, and if considering, they do ask that you register for an account and upload your resume. After, applicants are then directed to a 35-question editor test for consideration. Just as the name implies, Proofreading247.com provides proofreading and editorial services for students, individuals and businesses 24/7, 365 days a year. While the company doesn’t publicly post their proofreading jobs, they do encourage you to email their jobs email, found at [email protected] the domain listed above. You can also follow this website link for up-to-date information as well. According to ProofreadingPal.com, the typical proofreader who works with them earns $500 to $3,000 per month, with career opportunities available on occasions. As of right now, for instance, they are currently seeking qualified applicants who have a graduate degree and five years experience or an applicant currently employed by or enrolled as a graduate student with a 3.5 minimum GPA. Other qualifications are necessary, but you can view the career opportunity and job submission form in detail here. ProofreadNOW proofreads business documents around the clock, 365 days a year, with all documents edited by two editors. While the company is not always hiring, they do encourage you to sign up for employment emails if you’re interested in becoming a professional proofreader. The company does ask that all potential applicants have at least five years of experience. ProofreadingServices.com serves more than 5,000 clients in more than 90+ countries, and if you’re interested in becoming an online proofreader, they encourage you to apply from any country. Pay is said to be anywhere from $19 to $46 an hour, with rates highly dependent on your turnaround time. Flexible hours are available, and all applicants are asked to complete a 20-minute preliminary test to be considered. Rancho Park Publishing, a North Carolina based Language Services company, specializes in multilingual translation and typesetting services. With an on-going need for experienced proofreaders in all major languages, the company does encourage you to apply via the email found here. Along with your email, they also ask that you send in samples of your recent work, rates and references, and if they like what they see, then they will get back to you with more information. For more information in regards to the job posting, click on the link and find a job of interested. Once on the job listing, review the requirements to see if you’re a fit. The company isn’t always hiring editors, but they do have a job posting in which you can read more about the editing job position in detail. If you love editing books and helping awesome people create their books, then it could be an at-home position to consider. Pay is said to be $60 to $70 an hour, with necessary skills such as high-level book experience, excellent editing skills, good people skills and detailed oriented, according to the official job posting. Since 2012, Scribbr has been helping college students earn their degrees, with more than 400+ academic editors on staff. Headquartered in Amsterdam, the company is always looking for proofreaders and encourages you to apply if interested in becoming an editor who wants to work in the comfort of their own home. Like most of the companies I talked about, however, Scribbr does ask that you meet certain requirements, such as earning at least a bachelor’s degree, commit to at least 10 hours a week and experience in editing academic texts, to name a few. You can read all of the qualifications and an application link on the official Scibbr website link below. Scribendi offers online editing and proofreading services 24/7 and almost always is looking for freelance editor/proofreaders who want to work from home. According to the official job description, all Scribendi editors can choose to work on any assignments that are of interest, all while editing on your own schedule. Freelance editors are also able to see how much a job is worth before even accepting it, with prompt payments. All applicants should have at least a relevant University degree, at least three years of experience and an average proofreading speed of 1,500 words per hour, to name a few. More qualifications can be found on the official website. Sibia Proofreading provides fast, high-quality editing and proofreading services for businesses, students and researchers. And from time to time, the company may be hiring proofreaders, but don’t be discouraged if they aren’t at the time of landing on their jobs page. If a position is open, it does appear they are looking for applicants with at least a graduate degree with high-level editing skills. SmartBrief brings you the most important business news, curating top stories from more than 10,000 credible sources. With occasional editing jobs available, you can view the most current job openings at SmartBriefCareers.SilkRoad.com. Be sure to read the job description in depth since not all of these jobs are home-based. Supaproofread offers editing and proofreading services for students, authors and businesses, available 24/7. If you want to join the editorial team at Supaproofread, the company does have a list of requirements, all of which can be found here. Quickly glancing at it, their requirements were much like the other companies here, asking for a graduate degree, extensive experience, etc. For more information and the steps to apply, visit the link below to find out how to apply. Super Copy Editors works with a variety of big-name brands, including Forbes, to name a few. Always on the lookout for qualified editors who want to work on a flexible schedule, Super Copy Editors does ask that all applicants have a college degree, experience and a passion to help businesses succeed through clearer communication. Follow this link to start the online application process and learn more about what they are looking for. TextMaster, the leading professional translation service available online, welcomes you to join the TextMaster community, where you can work as a freelance contractor, either as a translator, proofreader or copywriter. As a contractor with TextMaster, you can apply to any jobs you’re interested in and work as you wish, truly making it a nice, flexible side gig. To learn more about the platform and qualifications necessary to get accepted, visit TextMaster.com. WordsRU offers guaranteed on-time editing services, available 24/7 and is currently looking for editors who meet their requirements, all of which are listed here. Glancing at it, this company, much like the others, asks that you hold at least a Master’s degree, have at least two years of experience and be proficient in MS Word, to name a few. Other requirements do apply, so I encourage you to check out the application page for more information. WordVice is an online essay proofreading and editing service, with editors available around the clock. Hiring online editors, the company encourages you to apply as a freelancer, where you can work from anywhere at any time. Compensation is based on the word count, with available work solely dependent upon your experience and availability. To learn more, visit Wordvice.com to browse openings and requirements to apply. Trust by more than 2,000+ clients, Wordy offers turnaround times in as little as 40 minutes. Allowing anyone to apply as an editor, there are no set prerequisites, at least according to the jobs page; however, according to the company, the average editor has a college degree with at least 10 years of editing experience. Applicants must take a practical test and choose from a host of open jobs once hired. Wordy registration isn’t always open, but if not, they encourage you to keep checking in. WriteZillas offers both writing an editing freelancing opportunities, with payouts available twice a month. With a flexible schedule, you can choose jobs as you please, all from the comfort of your own home. And if you’re interested in joining the platform, the company asks that you fill out this registration form along with a writing sample. If interested, the company will then contact you with more information. The companies I mentioned above are often hiring editors almost all the time, but what you’re going to find is that there are THOUSANDS of proofreading jobs that pop up from companies that rarely hire. And instead of listing thousands of companies that posted proofreading jobs in the past, I wanted to share even MORE resources that you can take advantage of to find a proofreading job that suits your needs. Again, like the jobs already mentioned, a lot of these jobs you do find on these resource pages will more than likely ask for a certain set of skills. FlexJobs is said to be the biggest and best premium website for remote and flexible jobs, screening out all of the scams and junk you commonly see on the free websites. And while it does cost a pinch of money to join (about the price of a pizza), they do offer a satisfaction guarantee in the case you’re unhappy with the results. Successfully helping people find flexible jobs for more than 10 years, you can search and browse the jobs for free, however, if you want to apply for a job, it does ask that you sign up to see the details. I’m not sure if you’re familiar with Indeed, but if not, it’s a free job searching aggregator that searches thousands of outside sources, and I highly recommend you probably bookmark it if you’re looking for any sort of job. Indeed is super easy to use. Type in your keywords, along with your zip code, and Indeed does the rest, listing the many jobs that could be available in your area. And, if you want to work from home, be sure to include additional keywords, such as “remote,” “home office,” “freelance” or “contractor” to narrow your search even more. In doing so, you should at least be able to see a few jobs you comb through to see if any are of interest. The American Society of Business Publication Editors offers a job bank online in which you can search for exclusive listings of editorial positions. Like most job search-based websites, you can narrow down your search by keyword, location, category and position. I found the Berkeley School of Journalism while searching Google and found it to be an amazing job source for aspiring journalists. And no, you don’t need to be a student of the school nor do you have be affiliated with the school, either. It’s free to check out, I promise. In short, it’s a job board focused around journalism, most of which seemed to be entry-level. Take a look at the list and see if any proofreading jobs are active right now. The BloggingPro job board posts about one to two job postings a day, most of which cater around the blogging community. And while a lot of these jobs are writing related, an occasional proofreading/editor job does pop up from time to time. Viewing and applying for jobs are 100% free. Just follow the job description in regards to the requirements and directions as to how you can apply for the job. Yes, Craigslist can be full of scams, I know, but there are actually a lot of opportunities in both the “gigs” and “jobs” section, particularly in the writing/editing section. If considering, just make sure you learn about this opportunity as much as possible. This may include researching the company online, talking with the owner online or even using Escrow at first to ensure you’re receiving payment for your work. And keep it safe, never giving out sensitive data to anyone you don’t know. Regardless, check out the listings in your area to see if any are of interest. Referred to as the “The Freelance Social Network,” I did find a few proofreading jobs on this website, about 15 to be exact. And if you’re interested in applying, you will be asked to create a profile on the website, much like other freelancing websites, and then be asked to bid on the job. Freelanced does not charge commission fees; however, top memberships do have a monthly fee. Freelancer.com, quite possibly one of the largest freelancing marketplaces online, offers thousands of freelancing opportunities, including proofreading jobs. Work similar to that of Upwork and other freelancing-like websites, you will first need to create a profile displaying your skills and will then be asked to bid on jobs of your choice. From the looks of it, most proofreading jobs had close to 20+ bids easy, so be prepared for some competition. Genuine Jobs, like FlexJobs, focuses on telecommuting jobs, but you do not have to pay a membership fee to view the job postings. While the site does look a pinch outdated, don’t let it deter you as they do have a ton of at-home options, including proofreading jobs. Just use the search tool near the top of the home screen and use some of the keywords I mentioned earlier to find a job of interest. I like Glassdoor a lot, mostly for its salary information and company reviews, but the website also has a pretty decent job search function, working just like Indeed and other job posting websites. Using the search feature, I did like that I could look at the company’s reviews from current/former employees as well as the salaries I could expect if it wasn’t noted in the listing. Searching, as well as applying for the job, is 10% free, with THOUSANDS of jobs added daily. Yet another freelancing website, Guru connects you with individuals and businesses who are looking for freelancers. 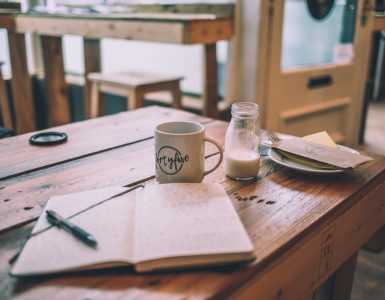 While this freelancing website isn’t as popular as a lot of the ones I listed here, it’s still one to consider, seeing you can browse and apply to the jobs for free. Just keep in mind that if you do accept a job, Guru will take a certain percentage of your final bid. As the name indicates, JournalismJobs.com focuses on journalism jobs only, including proofreading and copy editing gigs. To use the website, it works no differently than other job aggregators, such as Indeed and Glassdoor. Just type in your job title (proofreader), add your location and see what kind of results pop up. Yes, LinkedIn is well known for its social networking angle, but the website has a pretty good job search tool that may be able to connect you with the perfect proofreading gig. In each job description, you can learn about the company in depth as well as see how many people have viewed the job posting so far. You can also see if you have any connections with somebody at the company. In my eyes, it’s much more detailed than most job sites as you can get an insider’s look before you even consider applying. Searching and applying is 100% free and is yet another job searching alternative to add to your checklist. Monster, much like Indeed, works in the same way. While this website used to be a juggernaut in the early 2000s, it still posts quite a few jobs, so I definitely recommend you at least check it out to see if any jobs are of interest. For instance, when I took a quick glance, more than 10,000 proofreader jobs were readily available across the United States. And yes, while a lot of these jobs were on other job websites, such as Indeed, I did spot a few I didn’t see elsewhere. Searching and applying for jobs on Monster is 100% free and only takes seconds to do. The ProBlogger blog, quite possibly one of the most popular blogs that teach you how to make money online, has a very active job board, mostly featuring writing and sometimes, editing jobs. While most of the jobs listed will relate to writing gigs, I do see editing/proofreading jobs pop up on occasions. Browsing the job postings are 100% free, but just make sure you’re reading the qualifications before applying so that you’re not wasting the company’s time. RatRaceRebellion.com, a popular portal to help job seekers find work from home, has a pretty decent job board showcasing a variety of at-home job opportunities, including proofreaders. You may have to skim through the job listings to find a particular proofreading job opportunity, but nonetheless, it’s yet another resource to consider. SkiptheDriveg allows job seekers to find telecommuting jobs, similar to FlexJobs, the website I mentioned prior. While this telecommuting job search tool is free to use, you will have to use certain keywords to find targeted jobs. This website isn’t as popular as most that I list here, but it is one I do recommend you search to see if anything shows up worth applying for. SimplyHired reminds me a lot like Indeed as it works in the same way, however, it never grew into what Indeed has become. Nonetheless, it’s another job aggregator-like website that’s absolutely free to use and lets you browse through jobs all in one place. Search some of the keywords mentioned above and scroll through the job listings to see if any are of interest. SnagaJob focuses primarily on hourly based jobs, often in the retail and restaurant sectors, but, on occasions, you may be able to find a proofreader job in your area, either online or in a nearby office. To use the website, it works just like all of the other job aggregator websites already mentioned. Type in your keywords, enter your zip code and scroll through the results to see if any job lists are interesting enough to apply for. As a freelancer, I cannot recommend Upwork.com enough. It’s a great way to find jobs almost immediately, regardless of your educational background and experience. With hundreds of freelancing categories, Upwork has an “editing and proofreading” section, where you can browse current proofreading jobs. While I was writing this review, for instance, there were more than 150 active jobs. Upwork is 100% free to join, and you can start bidding on jobs almost immediately once you create your profile. As you can see, there are a TON of proofreading jobs, but the downside is that almost 90% of these companies are looking for those who have experience and a graduate degree, so it may be tough to find a gig as a newbie. Now, while that shouldn’t deter you from applying if you don’t meet the minimum qualifications, it shouldn’t discourage you as you can still get the ball rolling by starting on Fiverr, Upwork or one of the many other freelancing websites to build your resume. Add this experience to your college degree and you have a pretty good chance at becoming a proofreader if you can pass the skills test most companies require that you take. In the meantime, companies are always hiring proofreaders, so if you have what it takes, then, by all means, start applying today! If not, start working on your experience and education to become highly qualified. As always, if I’m missing any information or companies that hire proofreaders, do let me know in the comments below to share with the audience!